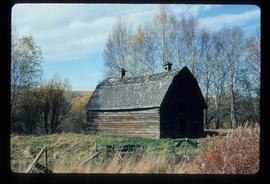 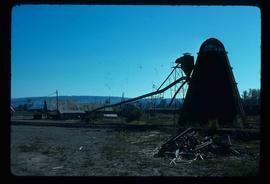 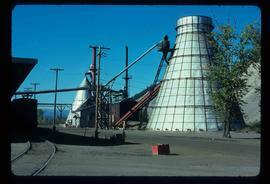 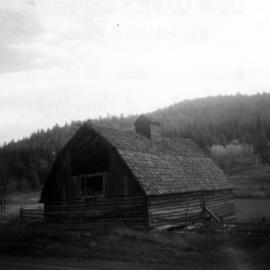 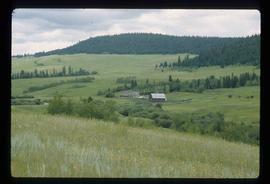 Photograph depicts a barn at Darfield, near Barriere, about 35 miles north of Kamloops. 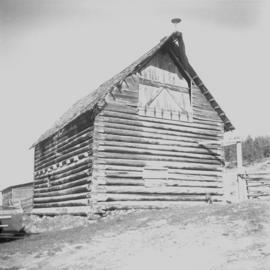 The English timbered cottage developed from this architectural form. 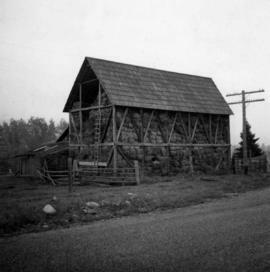 Photograph depicts a barn of the Glenwalker Ranch. 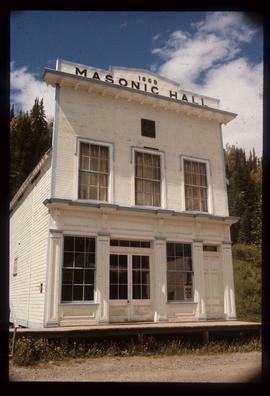 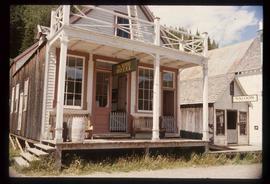 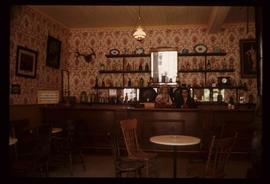 Built in 1890-1910. 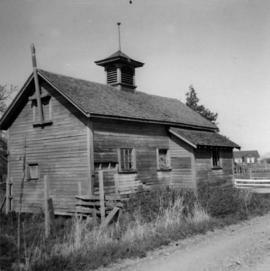 Photograph depicts a barn at Lund, a village 12 miles north of Powell River. 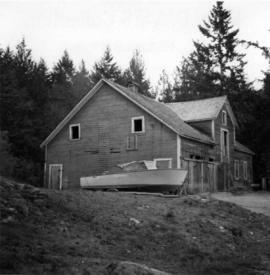 This building overlooks the harbour. 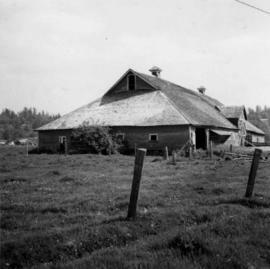 Photograph depicts a barn at Port Guichon, 1 mile west of Ladner, Delta. 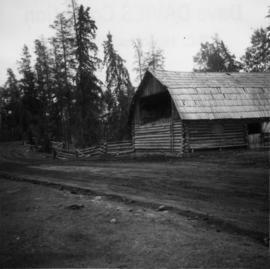 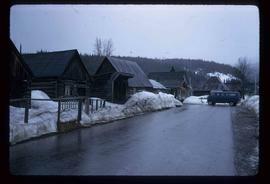 Photograph depicts a barn attached to Watch Lake Lodge, a dude ranch. 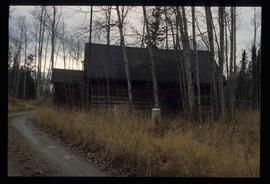 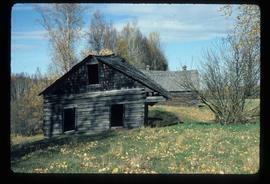 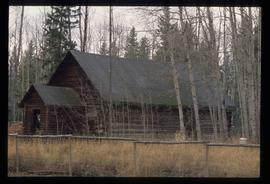 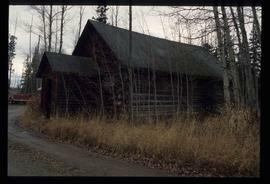 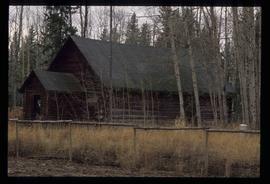 Photograph depicts a barn located in Aspen Grove. 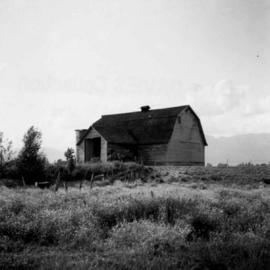 Photograph depicts a barn in the Upper Fraser Valley, west of the Vedder crossing and southwest of Atchelitz. 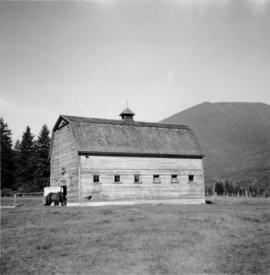 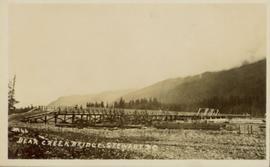 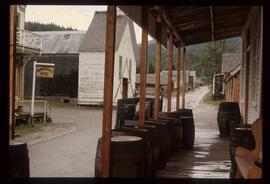 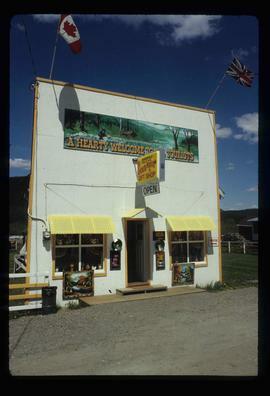 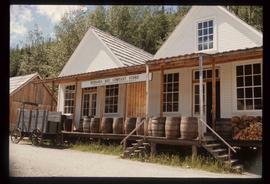 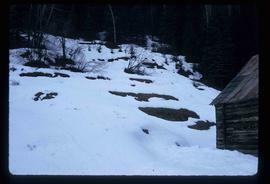 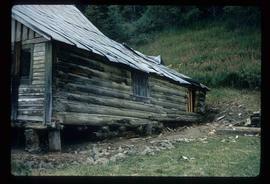 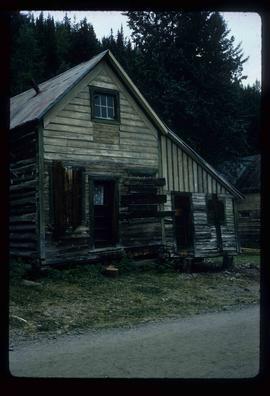 Photograph depicts a barn located on the south side of Kokamee Creek, part of Kootenay Lake. 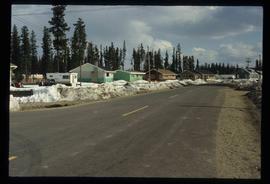 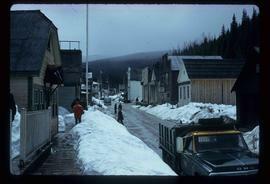 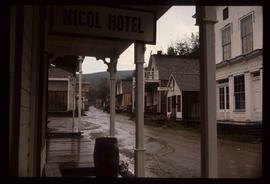 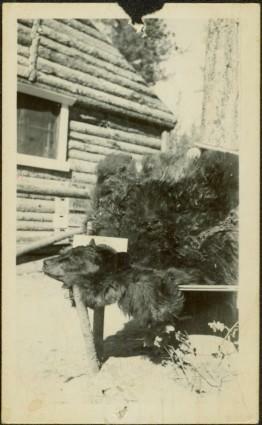 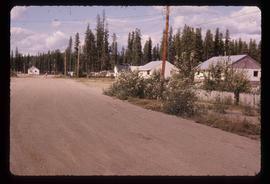 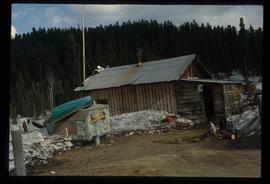 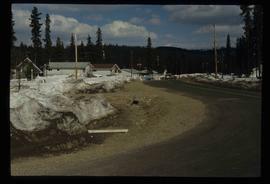 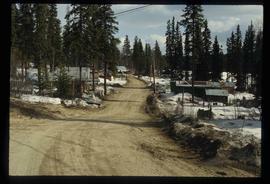 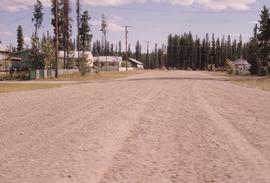 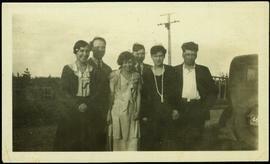 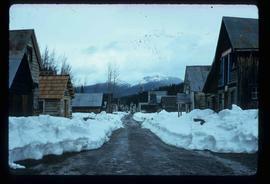 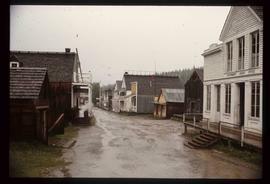 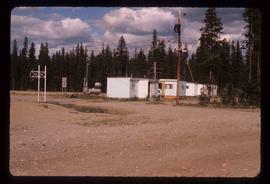 Image depicts some trailers in Bear Lake, B.C. 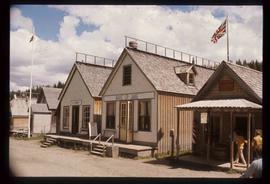 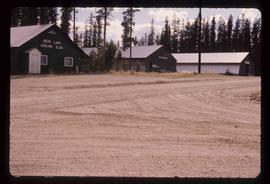 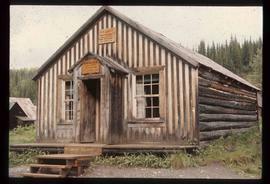 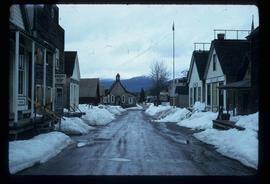 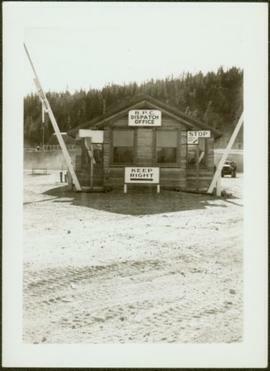 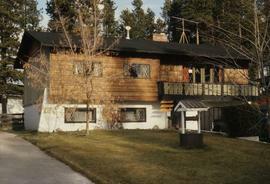 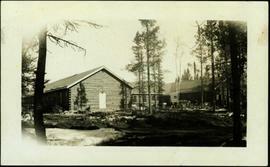 Image depicts the curling club and skating rink buildings in Bear Lake, B.C.